5.Stainless steel outside and inside more sanitation. 2 Ice is dry and transparent, good looking shape, non-caked, good mobility and sanitary. 3 It has the flake shape so that it has big contact area with refrigerating products and the effect is excellent. 4 Flake shape and no sharp edges, cannot destroy refrigerating products and it is beneficial for storage and transportation. 5 The thickness of flake ice is 1.8mm-2.5mm. No need to crush and can use at any time. 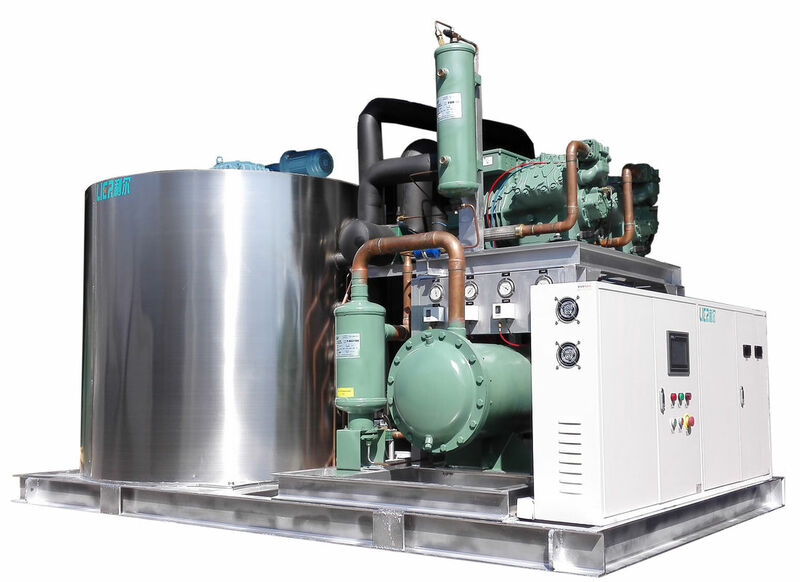 1.Its evaporator with fixed vertical design is made of SUS304 or carbon steel with high heat transfer efficiency and surface Nobelium electroplated.And the automatic protection welding equipment and annealing heat treatment furnace ensure the ice machine high quality and performance better. 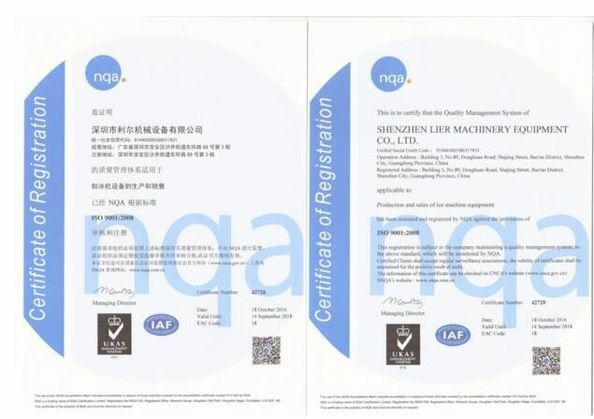 2.We have has complete mechanical processing equipment,and advanced and perfect processing and heat treatment technology,senior production technical personal and project design talents,strict testing methods and quality control plan.All these make our products quality safer and more excellent. 3.It will go through long-time ice-making performance testing and commissioning before leaving the factory to ensure its excellent performance. Lier flake ice machien have good cooperator with many countries and regions as Thailand Vietnam Lebanon Turkety Morocco France and Guniea etc. 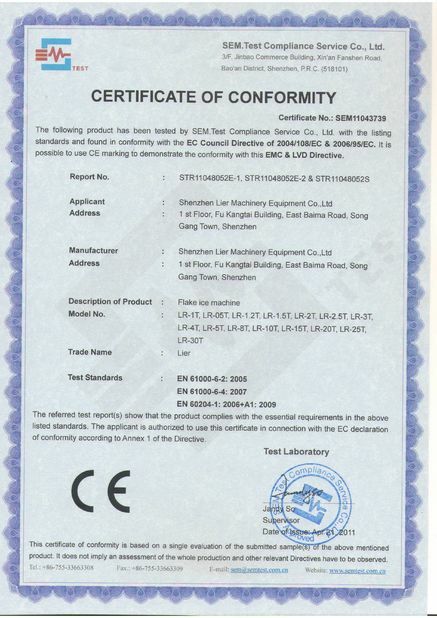 1.The voltage, dimensions,cooling type,material and split-type can be produced according to customers requirement. 2.The split installation or external condenser to these model is available according to customer's requirement.